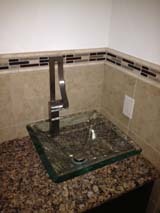 Vis plumbing and heating has been selling top quality equipment for the past 45 years. We provide two of the highest quality furnaces in the industry, Lennox and Amana. We have been selling Amana for the past 25 years and 3 years for Lennox. To earn and maintain “Premier” status, Dave Lennox Premier Dealers™ must participate in an independent Customer Satisfaction program. Only those that consistently meet and exceed customer expectations can identify themselves as a Dave Lennox Premier Dealer. 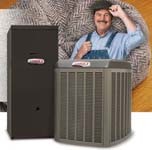 We have furnaces on inventory all the time for your heating needs. Call us for a free estimate about your heating needs.